Pour stock into a medium saucepan and bring to a slow simmer on low. Heat oil in a large, heavy-based saucepan on medium. Saute eschalots for 3-4 minutes, until tender. Add rice and cook, stirring, 1 minute. Pour wine into pan with rice and cook, stirring, 1 minute, until absorbed. Then add hot stock, one ladle at a time, stirring until all liquid has been absorbed before adding the next ladle. This will take 15-20 minutes. Rice should be tender, with a slight bite. Meanwhile, melt butter in a large frying pan on high. Sprinkle quail with thyme and season to taste. Add to pan, skin side down, and cook 1-2 minutes, until crisp and golden. Turn and cook a further 1 minute. Remove from pan and cover with foil to keep warm. Add mushrooms to same frying pan and saute 2-3 minutes, until tender and golden. Season to taste. Remove rice from heat. Stir extra butter and cheese through. Season to taste. Cover with lid 2 minutes. 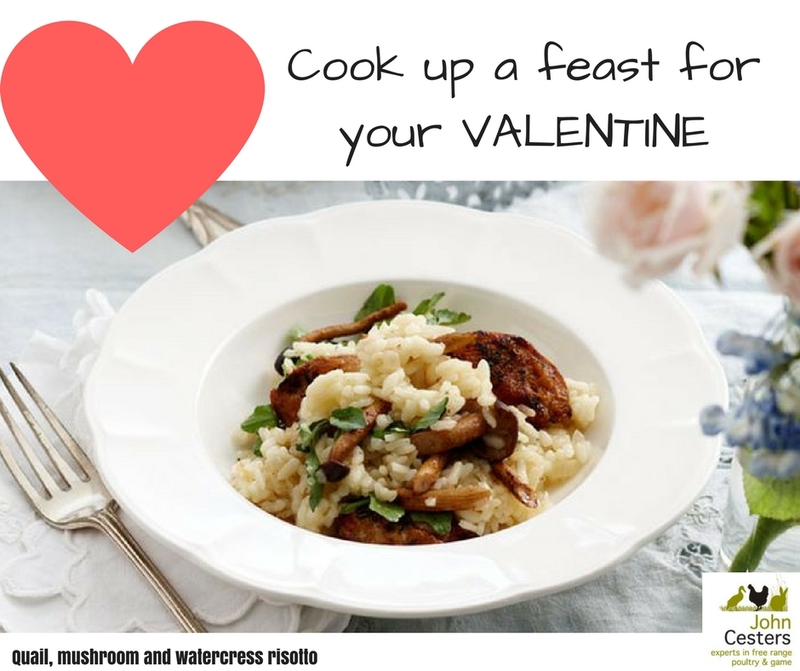 Stir quail, mushrooms and watercress through. Serve hot. 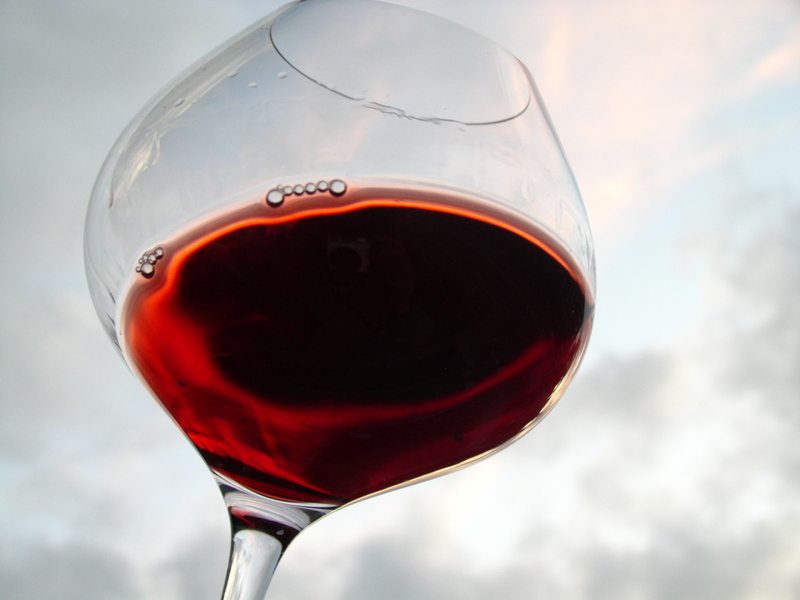 Best Enjoyed with a Rich Pinot Noir! First, marinate the duck. Mix the salt, soy sauce, wine, and five spice powder in a small bowl and massage into the duck. Leave the duck breasts skin side up on a plate uncovered, and let sit in the refrigerator overnight to marinate and to let the skin dry out. (If you don’t want to wait overnight, reduce the marinating time to 30 minutes). Next, prepare the Mandarin pancakes. Mix the flour and salt in a heatproof bowl. Pour the boiling hot water into the flour mixture and use chopsticks or a spatula to mix until a dough ball forms. Once it is cool enough to handle, knead the dough for 8 minutes until smooth, adding flour if the dough is too sticky. Cover with plastic and allow the dough to rest at room temperature for at least 1 hour. Roll the dough into a cylinder and cut into 12 equal pieces. Form each piece into a dough ball, then flatten them out into a small disc about 2 inches in diameter. Lightly brush 6 of the discs with oil, ensuring the sides of the discs are also brushed with oil. Layer the remaining 6 discs over the 6 oiled discs so you have 6 pieces, each comprised of 2 discs. Use a rolling pin to roll the discs into 7-inch circles, flipping the pancakes frequently so both of the dough discs are rolled into the same size. Heat a wok or frying pan over medium low heat, and place one pancake into the pan. After 30 to 45 seconds, you should see air pockets begin to form between the two pancakes. Flip the pancake; it should be white with just a couple of faint brown patches. Any more than that, and they are overcooked. After another 30 seconds, the air pockets should be large enough to separate the two pancakes. Remove the pancake to a plate, and let it cool for another 30 seconds. Now carefully pull apart the two pancakes at the seams. Place finished pancakes onto a plate and cover with a warm kitchen towel. Repeat until all pancakes are done. The pancakes can be reheated in a steamer for about a minute when ready to serve. They also keep in the freezer for up to 3 weeks if you decide to make a larger batch. Next, prepare your fixings and place in small bowls to serve alongside the duck. (Using cantaloupe as one of the add-ins was new to us but was quite common in China. It’s a surprisingly delicious addition!). Next, preheat the oven broiler on low heat. Heat an oven-proof pan over medium-high heat, and add 1 tablespoon of oil to coat the pan. Sear the duck breasts, skin side down. Move them frequently so the skin crisps up and fries in the duck fat that renders out. After 8 minutes, or when the duck skin is golden brown and a little bit crispy, carefully drain off the duck fat and discard (or save for later application to other recipes!). In the pan, flip the duck breasts (so they are skin side up), and transfer them to the broiler for about 3 minutes. Be careful not to burn the skin, which at this point should be a bit crispy. Remove the duck from the broiler and let rest for 10 to 15 minutes. The duck will be cooked about medium well and will be very juicy. Transfer to a cutting board and, using a sharp knife, cut into thin slices. 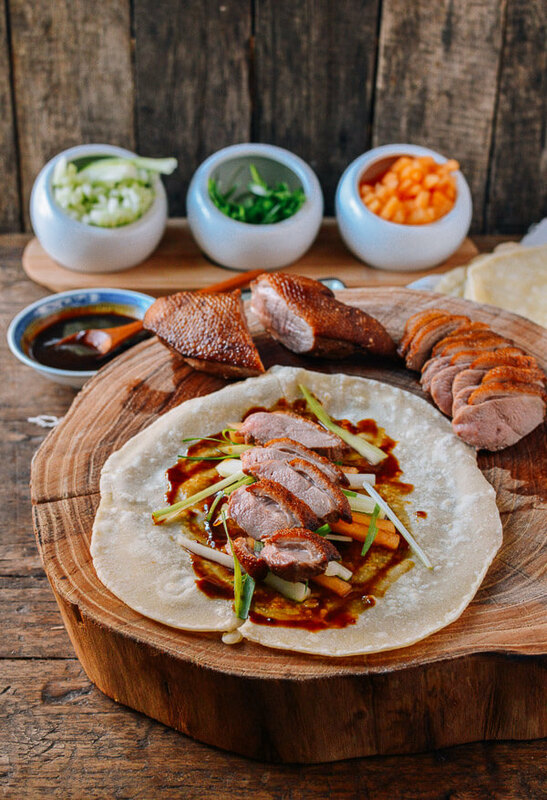 Serve the duck with your warmed pancakes, fixings, and sauce. Preheat oven to 200°C (180°C fan forced) and line baking tray with baking paper. Place pumpkin, zucchini, onion, garlic, 2 tablespoons olive oil and vinegar together, tossing until well coated in oil. Season well with salt and pepper. Place tray in preheated oven and roast for 30 minutes, turning halfway through. To make the pearl couscous, heat 1 tablespoon olive oil in a large saucepan over a medium heat. Add pearl couscous and cook for 3-4 minutes or until golden. Pour over vegetable stock, reduce heat to low, cover and cook for 16 minutes or until stock has been absorbed. Stir occasionally. For the kangaroo, heat remaining oil in large non-stick frying pan over a medium-high heat. Rub kangaroo with dukkah, place in frying pan and brown the meat on all sides. Transfer kangaroo to prepared baking tray and cook in preheated oven for 5-10 minutes. Remove from oven and rest for 10 minutes before slicing thinly. 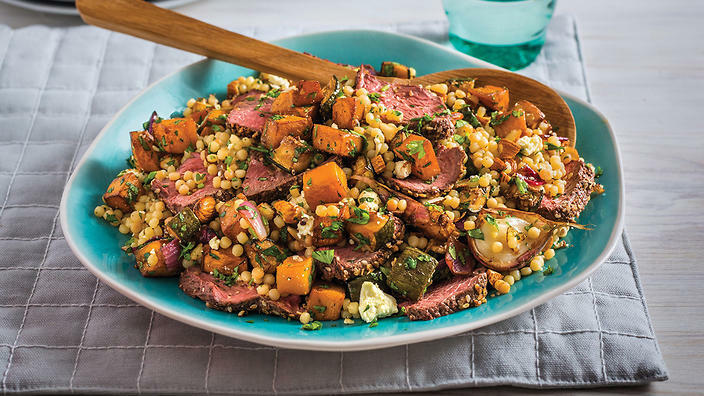 To serve, combine roasted vegetables, couscous, sliced kangaroo, mint, coriander and lemon juice together in a large mixing bowl, tossing until well combined. To finish, sprinkle over feta and almonds. Serve with your favourite tomato relish or sauce. 2. Place meat, and vegetables herbs and spices into food processor and wiz until blended into a fine mince. 3. Take your sheet of pastry and cut it into thirds one way, then in half the other way, making six pieces out of each sheet. 4. 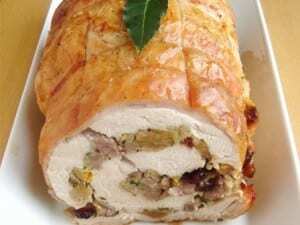 Roll a small handful of mince into a sausage and place on the edge of one piece of pastry and then roll it up ensuring you have enough cross over to create a seal. I like about 1cm to prevent bursting. 5. Repeat with remaining mince and pastry until you’re done, placing them onto a sheet of baking paper on a baking tray as you go. 6. 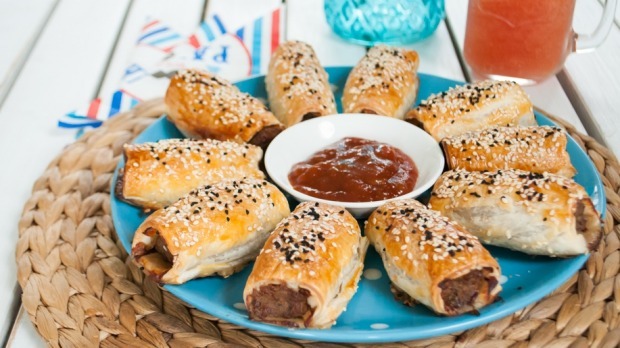 Lightly whip your egg and then brush over all of your sausage rolls before sprinkling the tops with seeds. 7. Pop into the oven for 25-30 minutes until golden brown and crunchy. 8. Serve with your favourite sauce.